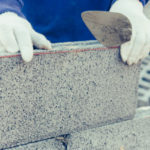 There are a number of tips you can put to use that will elongate the life of your Toronto stone masonry, here are 6 of the most important to keep in mind. No matter if stone masonry is 10-years old or over 100-years-old, Turnbull Masonry is here to help make it look like new for many years to come. Overtime all stone masonry requires a clean up and a new protective coating as well. The point of cleaning is to make a building look better, but also to remove soiling materials that could degrade the overall quality of a building over time. A clean surface also makes it easier to identify any underlying issues that need to be addressed. There are protective coatings available to help improve the longevity and strength of stone masonry. Speak with one of our professional stonemasons to identify the best protective coating for your needs. The mortar running between each piece of stone holds the whole structure together. This mortar is meant to take on the brunt of damages, as it should be replaced over time. Replacing mortar joints is far more affordable and less labor intensive than replacing entire sections of stone. If you ignore faulty mortar joints the damage will turn on the stonework, creating bigger problems. 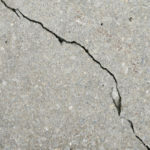 The moment you notice cracked, crumbly or weak mortar joints it’s time to call out a professional. 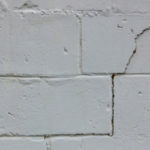 If the damage is not too severe yet, it’s likely that repointing will be the recommended course of action. 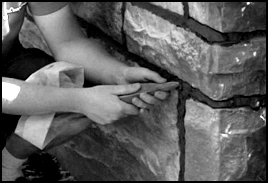 Repointing your stone masonry wall includes removing the old, worn down mortar and replacing it with a new mortar that matches the original mortar in terms of color, texture and strength. When properly applied, this adds decades to the life of your stone masonry. If your stone masonry wall has damaged decorative moldings, ornamental facades, historical details or any other fine crafted design elements in need of repairs, it’s important to take care of it right away. We are highly skilled at duplicating original work. We focus on preserving the natural history of a building as well as creating a cohesive look that doesn’t appear repaired, or pieced together. Intricate ornamental elements are often the most sensitive to damage, especially if they are located on corners or portions of the wall that jut out from the surrounding structure. If the actual stonework has begun to show signs of degradation, it’s time to make the necessary repairs. In some instances, portions of stone may need to be removed and completely replaced. This process must be carefully conducted so that the replacement stone fits in with the original look. We are capable of reproducing the look of any stone using tested and true reproduction processes. We can take care of everything from carvings to floors, stairs, windows and more. Limestone surface cleaning is an important maintenance routine that includes using minimally invasive methods to clean and treat surfaces. We always test cleaning materials and tools on a sample section before applying to the entire surface to help prevent any large-scale mishaps. If limestone damage is extensive, replacements and repairs may be necessary on top of cleaning. Limestone units may be repaired using methods such as patching, and repointing. Limestone may be replaced in patches or entirely. We make sure to find limestone blocks that match as closely as possible to the original stonework to produce the highest quality results. In less serious instances, repointing, patching and retooling can be used as opposed to replacing entire sections. There are certain considerations that must be taken into accord when making repairs on historical stone masonry. The historical elements of a wall or building should not be changed in any way. 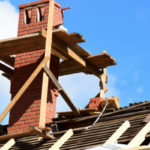 Therefore, careful practices must be applied in order to match the right mortar, stone and other replacement elements. Mortar is a big part of this, as it must match the original mortar in color, tooling and texture. There are certain tests we conduct to determine the exact makeup of original mortar. This allows us to produce the best results possible. Certain lab tests are able to identify the exact kind of sand used in original mortar by gradation and color. If you use newer mortar techniques on a historic building you are doing more harm than good over the long run. Newer forms of mortar are not compatible with older techniques used to mix and apply mortar. Cleaning historical stone masonry is also trickier because it tends to be more delicate and previous repairs must be taken into consideration. Gentle cleaning methods are incredibly important. Turnbull Masonry is your go-to team for Toronto’s highest quality stone masonry repairs at competitive prices.